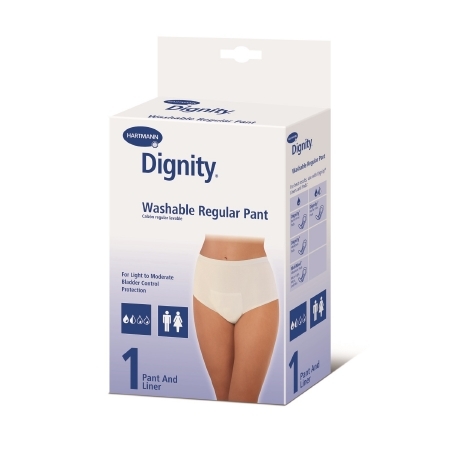 The Dignity Unisex Washable Underwear is designed to fit both men and women. It is a wahable unisex underwear with built in pouch for a disposable or reusable incontinence pad. Made of a cotton blend fabric. The pouch holds the pad or liner securely in place for leakage protection where you need it most. It is a pull on style, with elastic waist.